Phil Dike, California Scene Painter (1906-1990). 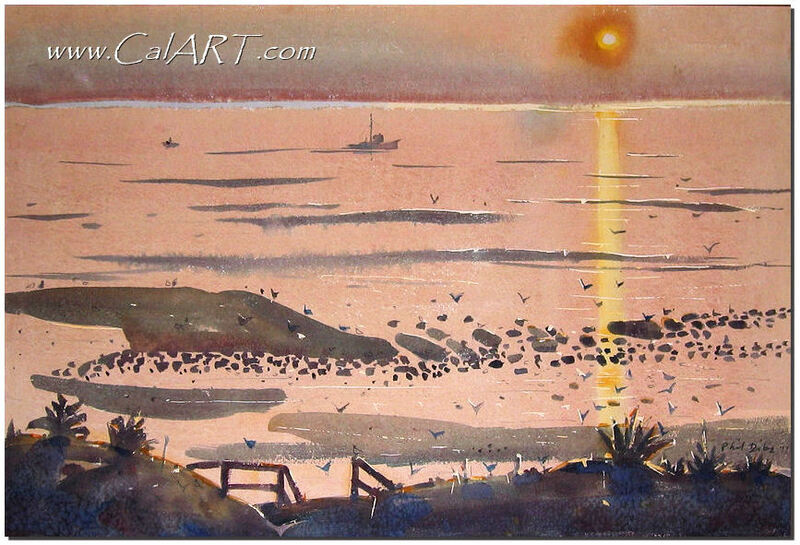 Phil Dike, a Southern California native, was one of the main innovators in the development of the watercolor painting movement in California. 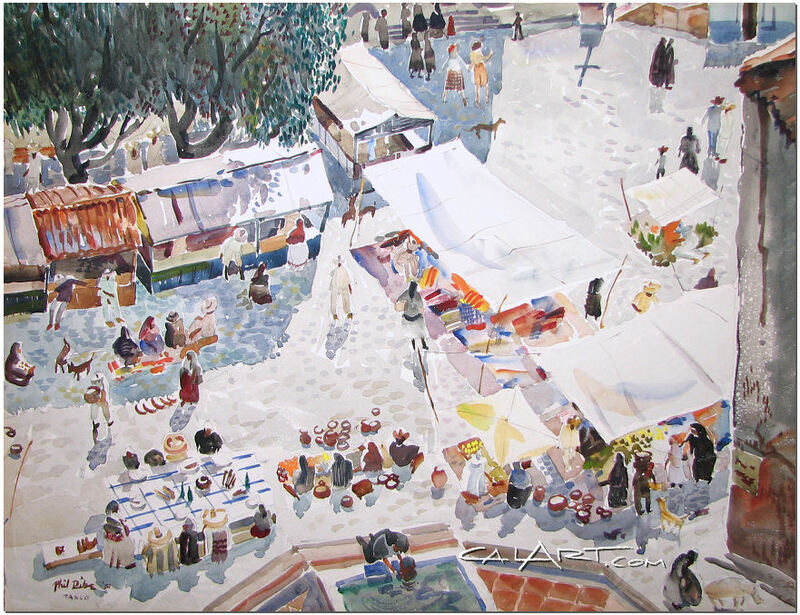 STUDIED: Chouinard Art Institute (CA), Art Students League (NY), American Academy (France). MEMBER: NAD, AWS, California WC Society, Philadelphia WC Club. 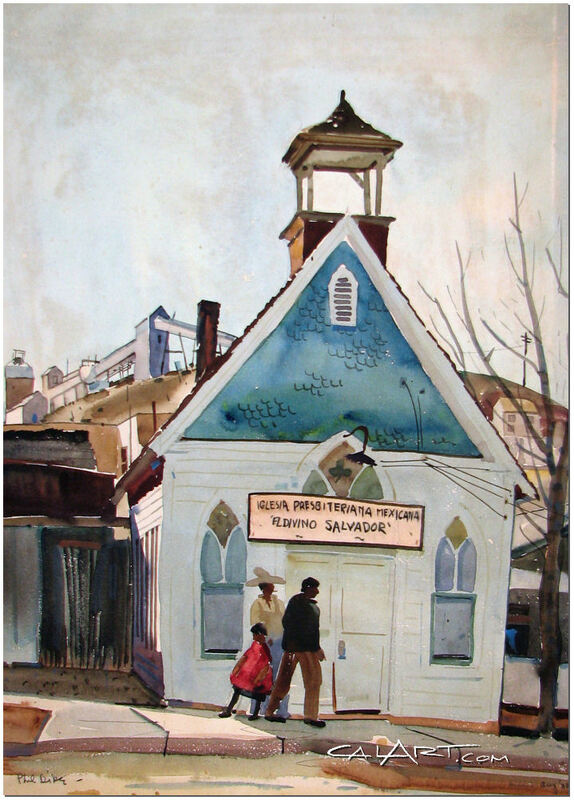 Phil Dike biography provided courtesy of �California Watercolors 1850-1970� By Gordon T. McClelland and Jay T. Last. 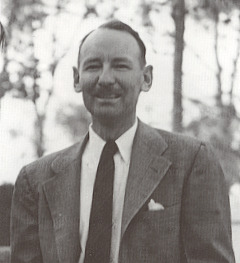 Phil Dike was born and raised in Southern California. In 1923, Dike was awarded a scholarship to study at the Chouinard Art Institute and received instruction from E Tolles Chamberlin and Clarence Hinkle. He continued his art education in New York City studying with George Bridgman, Frank Vincent DuMond and George Luks. 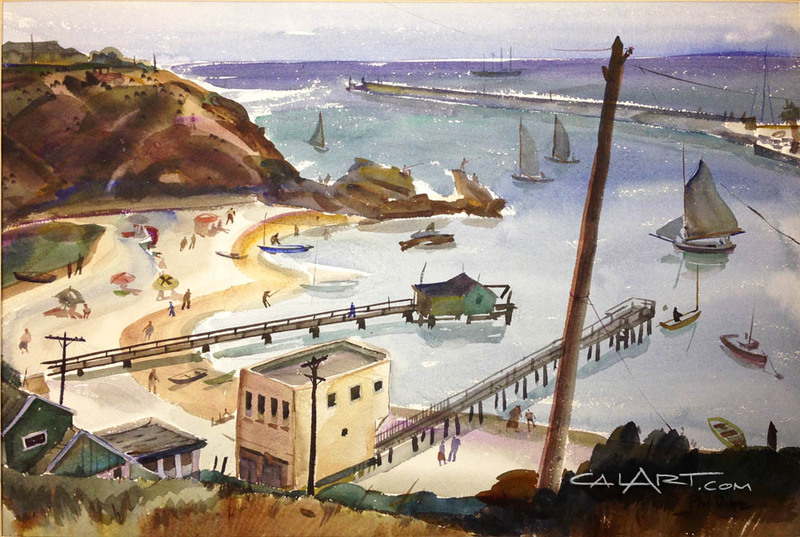 After returning to California in 1929, Phil Dike began teaching at the Chouinard Art Institute and was one of the first artists to develop what became known as the California Style of watercolor painting. 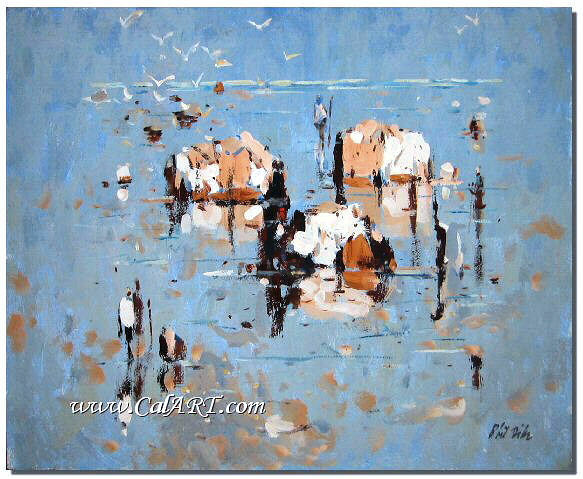 In the early 1930s, Phil continued teaching and painting and took further studies in Paris. 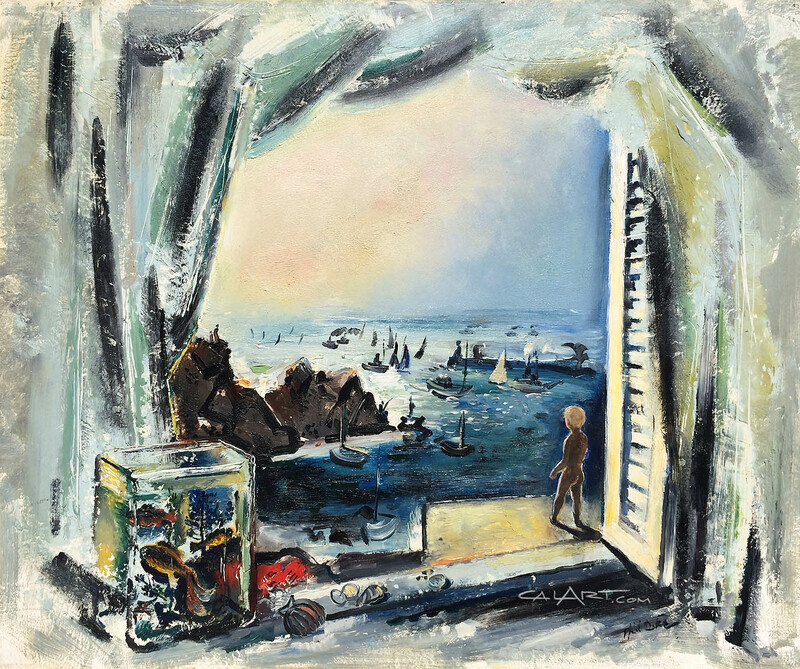 His watercolors were being exhibited in museum shows throughout America and he was receiving wide acclaim and numerous awards. By 1935, he was also working at the Walt Disney Studios where he taught art and color theory while working on animated films. Among the many classic films he worked on were Snow White and the Seven Dwarfs, Fantasia and The Three Caballeros. 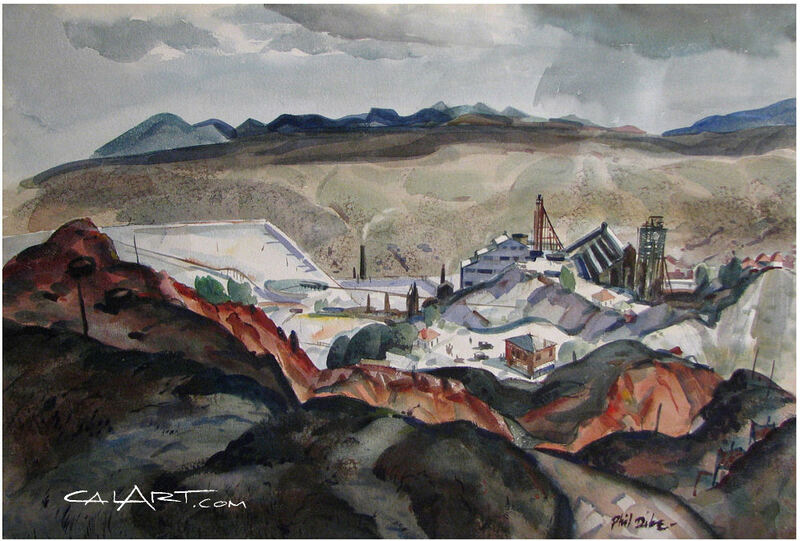 In 1938, Dike served as president of the California Water Color Society. 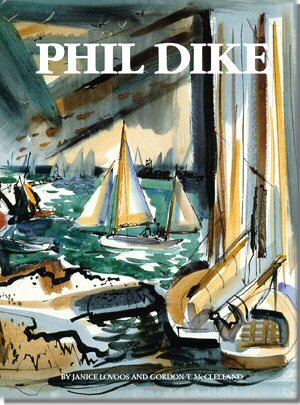 After World War 11, Dike left Disney and went back into teaching and painting full time. 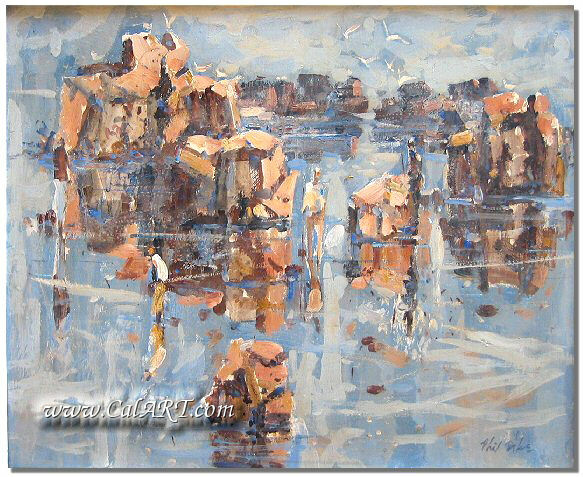 He and Rex Brandt formed the highly successful Brandt-Dike Summer School of Painting and during regular school months, he taught at the Chouinard Art Institute. 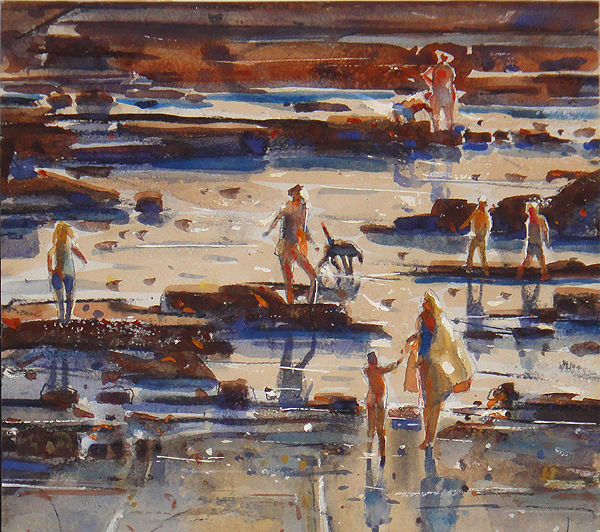 It was at this time that Dike's watercolors became more modern looking. He began using calligraphy in very creative ways and incorporating geometricabstractionist ideas into his work. Interview with Phil Dike, 1983.